Berlin Sunday pointed out it would be tough for the European Union powerhouse to protect its companies doing business with Iran against any fallout of the US sanctions on the Islamic Republic. President Donald Trump withdrew the US out of the nuclear pact signed in 2015 between Iran, World powers and Germany and announced his decision to reinstate the economic sanctions that were in place before the deal. Germany, France and the United Kingdom have pledged to stick to the pact despite the US withdrawal as they seek to preserve their interests in Iran. 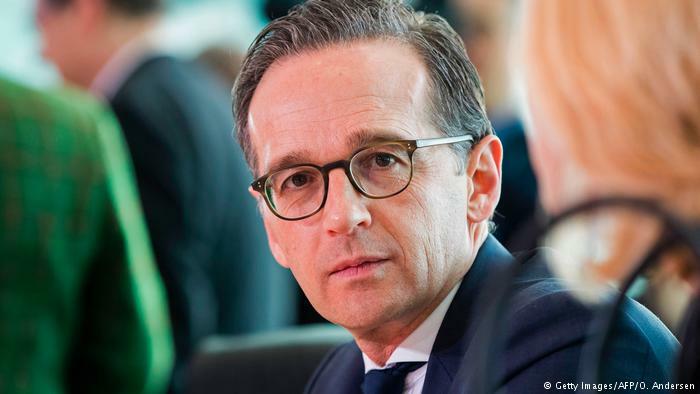 German Foreign Minister Heiko Maas told Bild am Sonntag newspaper Sunday that efforts to shield German companies from likely US sanctions look difficult. “I do not see a simple solution to shield companies from all risks of American sanctions,” he said. The German top diplomat disclosed that the EU signatories to the nuclear deal, which the US tore up over its failure to rein in Iran’s influence in the Middle East, are planning to meet with Iranian officials to talk about the way forward without the US. “After all, Iran is ready to talk. It’s clear that there should also be economic incentives – that will not be easy after the US decision,” Maas said. Meanwhile, his US counterpart, Mike Pompeo, told Fox News, also Sunday, that Washington is keen to work out a deal with European allies with focus on Iran’s ‘malign behavior’. Pompeo said he would hold talks with European allies for a new deal that also protects “America” over the next coming days. “I’m hopeful in the days and weeks ahead we can come up with a deal that really works, that really protects the world from Iranian bad behavior, not just their nuclear program, but their missiles and their malign behavior as well,” the US Secretary of State said. Written by: KanelkaTagba on May 14, 2018. Posted by KanelkaTagba on May 14 2018. Filed under Headlines, World News. You can follow any responses to this entry through the RSS 2.0. Both comments and pings are currently closed.